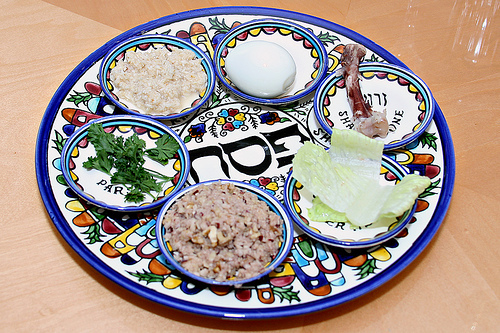 When I was a child I was lucky to enjoy both a Passover Seder with family as well as Easter. Passover Seder was my favorite Jewish holiday as a child. 2. On all other nights, we eat either unleavened or leavened bread, but tonight why do we eat only unleavened bread? 3. On all other nights, we eat all kinds of vegetables, but tonight why do we eat only bitter herbs? 4. On all other nights, we do not dip [our food] even once, but tonight why do we dip twice? Many readings, prayers, and stories are used to recount the story of the Exodus. Many households add their own commentary and interpretation and often the story of the Jews is related to the theme of liberation and its implications worldwide.